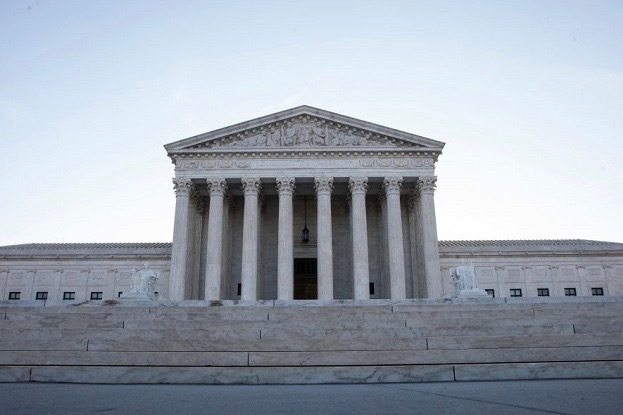 When talking about large amounts of money flooding elections, one landmark Supreme Court case is generally cited as the cause: Citizens United. 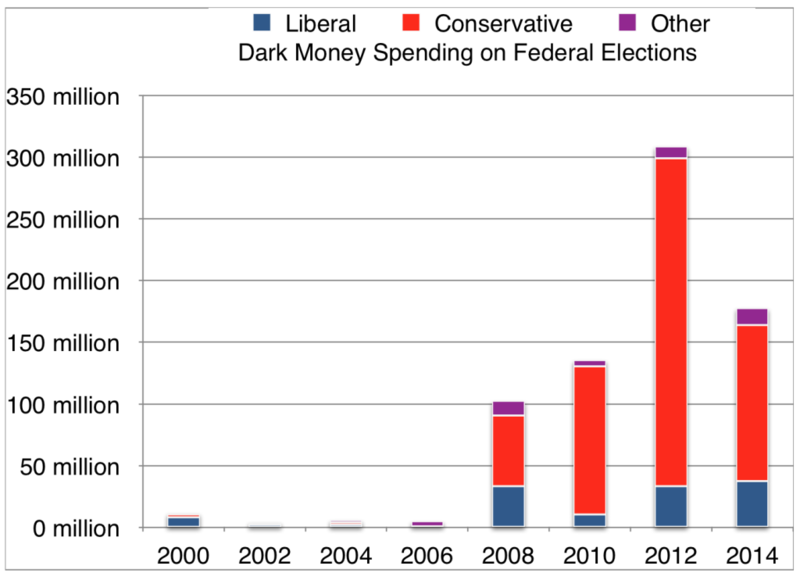 The 2010 ruling allowed corporations to spend unlimited money in elections, provided they didn’t coordinate their expenditures with a candidate. The 2007 decision had an immediate effect. 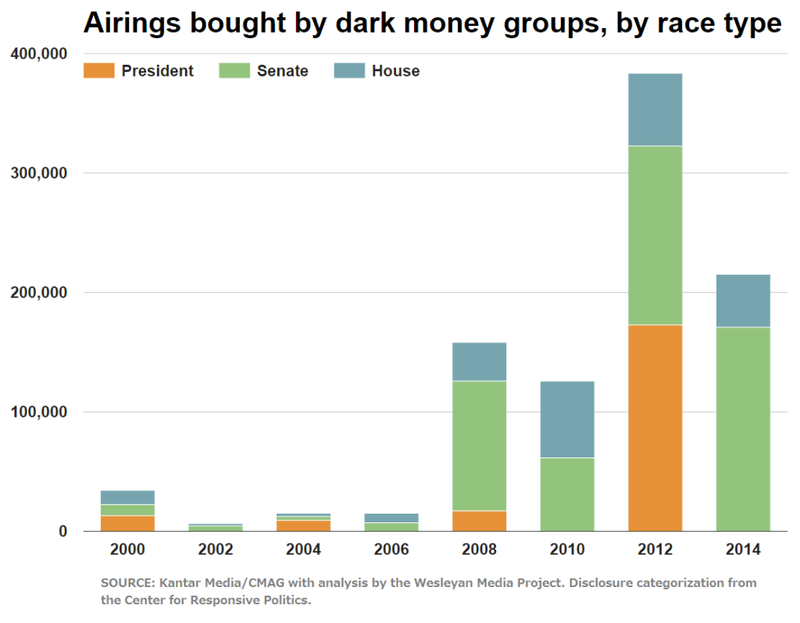 According to data from the Center for Responsive Politics, the use of dark money — spending by organizations that don’t have to publicly reveal their donors — increased by more than 1,000 percent between the 2004 and 2008 election cycles. During the cycle that included former President George W. Bush’s 2004 re-election campaign, dark money organizations spent about $6 million. Four years later, the amount would climb to more than $102 million, with 84 percent of the dark money spent on electioneering communications that aired after the Wisconsin Right to Life decision. The Wisconsin nonprofit argued that the law violated their free speech rights, because the commercials did not specifically tell viewers to vote for or against a candidate. Instead, the organization said its commercials were “issue ads” aimed at educating the public about a matter of social importance — and therefore permissible under the law. In a 5-4 decision, the Supreme Court agreed. Freedom’s Watch became the top source of dark money in the 2008 election cycle, pouring more than $17 million into conservative causes. Other conservative donors, including the libertarian billionaire brothers Charles and David Koch, were spurred into putting money into politically active nonprofits. Three Koch nonprofits — Americans for Prosperity, American Future Fund and Americans for Job Security — spent almost $12 million during the cycle.